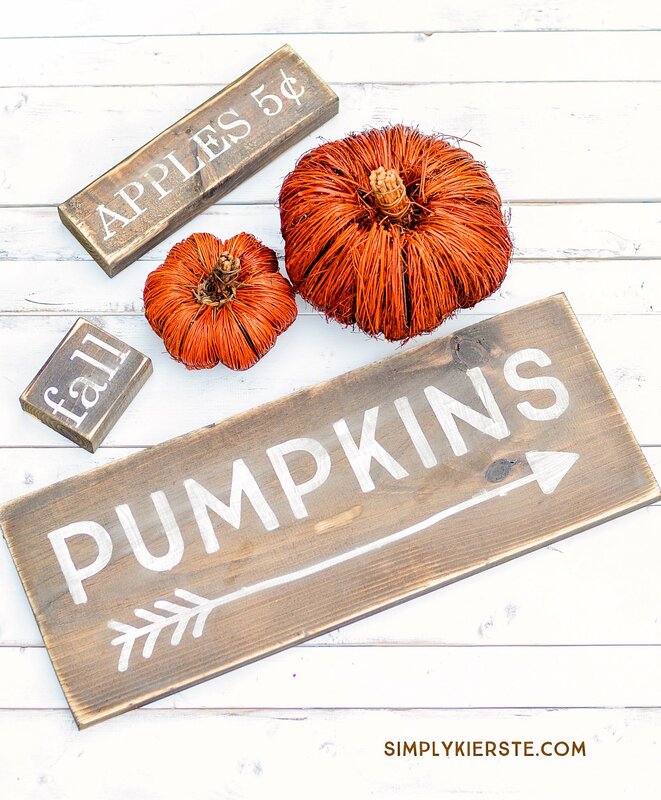 Anything pumpkins, apples, or fall calls my name, and I made these adorable farmhouse style wood fall signs using pieces of scrap wood. I absolutely love how they turned out, and best of all, they’re super easy to make! I wanted my signs to look more like barn wood–farmhouse style–and using a stain then sanding the heck out of them helped me achieve that. I used stencils I cut out using my Silhouette, and painted them on with white paint. They were an easy weekend project that was mostly drying time (you need to let stain dry for 24 hours), and now they look so cute in my house! These are a great way to use up scrap wood, but if you don’t have any, 2×4 posts are cheap! If you want to make the 10 inch sign, but don’t want to buy the whole board, you can always go in on it with a couple of friends–you can make 3-4 signs out of one board, depending on if you get a 6 or 8 foot long board. Mantels, entry tables, shelves, kitchen counters—these look super cute anywhere and everywhere! This post contains affiliate links for your convenience. If you click on a link and make a purchase, I’ll receive a small commission at no extra cost to you. 1. Cut your boards into desired length. 2. Using a lint-free rag (I like using old tee shirts) to apply stain and let dry completely. 3. Stencil on desired text/design. I cut out my designs on my Silhouette (download free cut files below), then removed the letters and applied the negative space to my board–the painted on the letters. 4. After the paint is dry, remove vinyl/stencils and use a power sander or medium grit sandpaper to distress your sign as much as you like. I do a bunch on the edges and then go across the top to distress the lettering and top of the board. Be careful on the lettering–the paint comes off fast! 5. Wipe off dust, and you’re finished! love these! now I need to go through my wood scraps so I can make some. I love anything apples and pumpkins as well. Right now we are in the middle of apple season with all our apple trees. PS: I noticed the Pumpkin file didn’t work. I just tried it and it worked for me—will you try it again? Thank you!!! yes, now I can. Before it had a line through it. Thanks! Thanks for sharing the idea cute sign and super thanks for including the cute files. Happy Fall. I love this. I am having a hard time opening it. It’s a studio3 file. What program do I need to open that file? Thanks, Jennifer! It’s a Silhouette Studio file–for a Silhouette machine (Cameo or Portrait). Love these too! Any possibility of converting the design files into an SVG file? I have a Cricut Explore instead of a Silhouette. Thanks for all your cute ideas! That was actually my original intention, but it’s a pretty complicated conversion process from the research I’ve done. I’m still working on it, but for now the Silhouette file is all I have. So sorry!! Could you possibly convert to a pdf or jpeg file? What do you use as your stencil? Vinyl? Or? I do use vinyl. I’ve also used contact paper!! I love your signs- so cute! What font did you use for the Fall sign? What did you use for your stencil? Permanent or non permanent vinyl? Any tricks to ensuring the paint doesn’t bleed under? This a great all year round project. I used non-permanent vinyl as my stencil. I have used permanent before, and it sticks so well that it pulls the paint up with it when you remove it. To help with bleeding, you can use a little mod podge around the edges of your stencil, where it meets the wood. Once it’s dry, you can paint over it. It should help! I also press as firmly as possible before painting, and I’ll do it again right before I paint each individual letter or graphic. If it’s really rough wood, and I don’t think it will seal very well, I like to use spray paint. It rarely bleeds under my stencil–and if it does, not much at all. Thank you so much for sharing this pumpkin sign stencil! 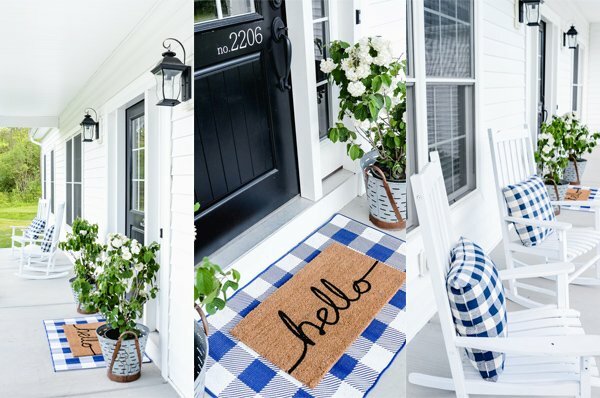 I love it and am excited to make some to decorate my home! 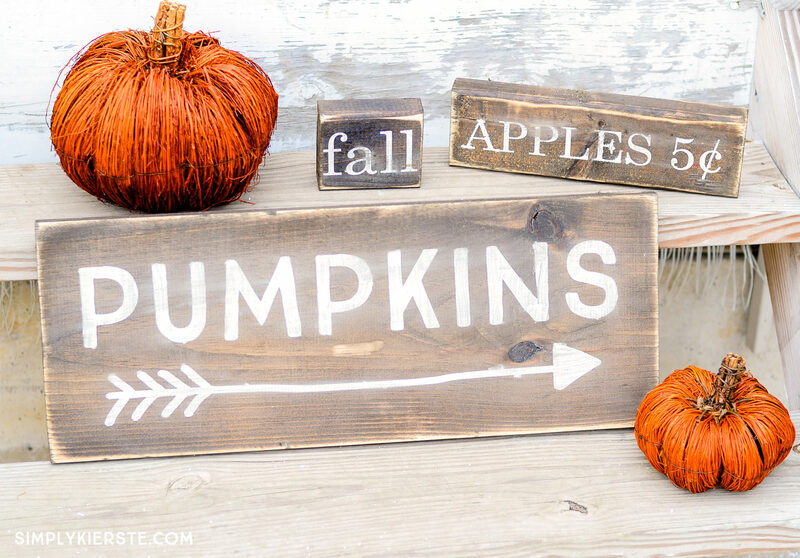 This is such a cute fall project!! Thanks for sharing! And a question, is there any way you could convert to a pdf file for those who do not have access to the studio files?